The story picks up a while after the defeat of the collectors, with your character STILL trying to convince the universe’s governments that the Reapers pose a real threat to all organic life. Faster than you can say “I told you so”, Earth is attacked and you must flee. It seems the whole galaxy is having the same problem, The Reapers have arrived and there’s no way to stop them, except for a conveniently nearly-finished super weapon that you discover. Now it’s up to you to bring together all the different races to work together and bring down the Reapers before it’s too late. Of course first you have to get the aliens to stop fighting among themselves. While there are far too many convenient plot devices here, the story works for the most part. All that you have learned about the different alien races comes in handy here as you basically repeat the process from Mass Effect 2 and assemble the ultimate force to combat the Reapers with. However the larger scale means that everything is a little less personal and your choices seem to carry less weight than before, as Bioware have crafted a more scripted story than before. It is nice to see returning characters react to your old choices, and rekindle old romances, but it just doesn’t have the same feeling that the reunions had in the second game. I won’t spoil the ending of the game but I will say I can understand now why so many fans were disappointed. All of the choices you have made throughout the series amount to nothing, as you are given a last minute choice that determines the fate of the galaxy. Not only that, but the choices are sprung on you at the last moment in a truly lazy moment of writing that ignores everything your character stands for, and only serves to confuse you, as opposed to satisfying you. If you can ignore this however and just go along for the ride, there’s still plenty to like here. The gameplay has been refined yet again to make shooting and wielding powers even more intuitive, although levels feel much more straightforward this time. The character animations are even better, with more cinematic conversations and improved voice acting. All in all, the game is still an extremely fun third person shooter, with some great character moments sprinkled throughout. 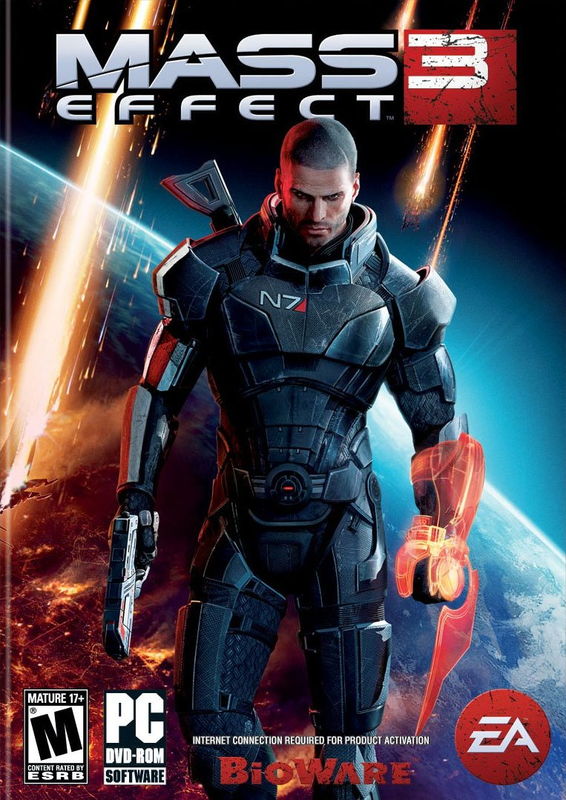 It’s hard to ignore the negatives though, given how good Mass Effect 2 was. The inventory system has somehow been made worse, with a fiddly upgrade system and far too many weapons to choose from that all feel pretty much the same. The character roster is greatly reduced and the lessened focus on them makes the story feel a little hollow. Finally the lack of closure for all of your friends is a huge slap in the face to fans who have grown to love just about everyone you cross paths with in the series. While it’s not the worst way to end the series, Mass Effect 3 is a serious step back in terms of quality of characterisation, and the importance of choices. Everything the series stood for is swept under the rug in favour of big action set pieces and a desire to take control away from the player to tell one story. You could end the first game as either a lover of all alien races, or a pro-human monster. You could end the second game with all your crew in-tact, or none. In the end of Mass Effect 3, you get the same ending as everyone else.